!! OMG, GAY OVERLOAD! 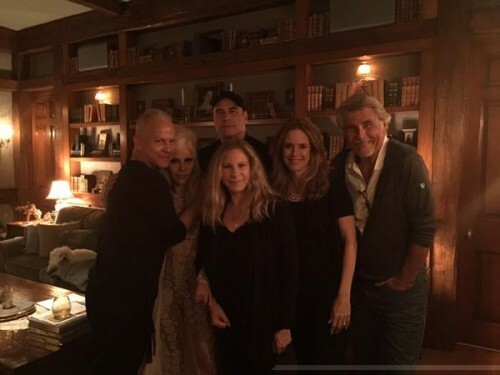 Barbra Streisand hosted dinner party with Ryan Murphy, Lady Gaga, John Travolta and Kelly Preston in one room !! Our screen is static glitter! They must dined on a fresh unicorn feast and Paris Hilton’s brand of canned prosecco. I bet showtunes were to be had! « PREVIOUS ENTRY: OMG, alright you primitive screwheads, listen up! The trailer for the new ASH vs EVIL DEAD is here! 1 Comment on "OMG, GAY OVERLOAD! 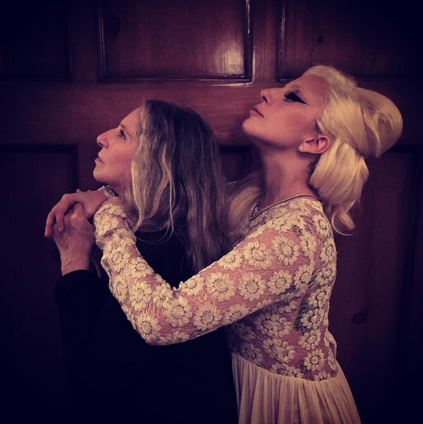 Barbra Streisand hosted dinner party with Ryan Murphy, Lady Gaga, John Travolta and Kelly Preston in one room"
Igor-are you sure you’re gay? It’s BARBRA, not Barbara!